Branding means the emotional response you want to create among your audience ! The success of a company has a huge dependency on the brand name. The brand name must create an emotional response among public,so the important thing to do while starting s business is,spent some quality time in shaping your business’s image and identity. Designing a logo which is attractive yet linked to your company name plays an important role in your identity creation. Be proffesional and use your logo on emails,letter heads and all other documents. An attractive and responsive website is a supreme factor for online business. Creating a website does not need a huge budget,proper planning can do the work. To increase your brand awareness, always attach a signature containig your logo and other information. 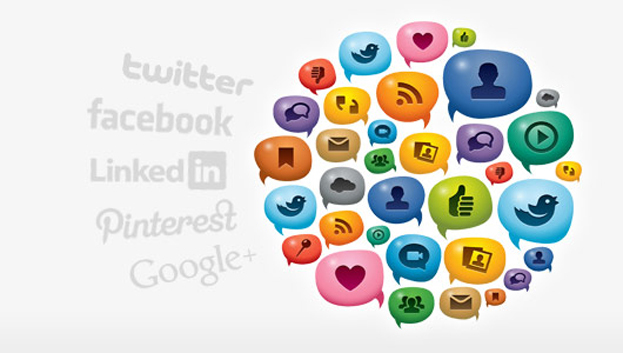 Create your companys social media accounts like Facebook,Twitter,Google plus,Twitter etc. Share your informations and updates through these accounts and start creating an audience. Always remember to share information which can create a positive impact. Add your business in Google places and Google maps,which can be easily done. There are lots of local business directories available across various region,find them out and add your business details.This can create an awareness about your company among a group of businessmen also. Important social medias like facebook,Twitter and Google Plus accounts that you have created can be linked to your website.By doing this you will get a two way flow of audience from site to social medias and vice versa. An SEO friendly website will be visible in searches and this can create a feeling among audience that you are accepted by a large number of audience. An attractive and resourceful company blog can increase traffic to your website. Through a blog you can share your activities and news and you can also interact with the public. Important thing to keep in mind is,always reply to the comments received in a humble manner and accept suggestions and try to improve. News letter can act as a bridge between your company and your customers/public. Update the public with your newses and acivites and make them feel they are also important. Don’t copycat other brands,this may confuse your audience and it will seriously affect your business. NB : Last but not least,always be genuine and helpful. Keep encouraging your audience by sharing tips and tricks.